This post is sponsored by RAWR Naturals. All opinions are my own. Busy Mom life (and pre-momma life) is OFFICIALLY a thing. As I close in on week 30 of pregnancy, this statement is becoming more and more of a reality for me and for many of you! As I welcome in the beautiful chapter of motherhood, I could not be more excited to share my partnership with the powerful Momma inspired brand, RAWR Naturals! RAWR Naturals is a Mom-driven company that specializes in nutrition for mamas of littles. (All My Mommas… can I get an AMEN!?) The origin of this brand is SO AMAZING, ladies… as it is derived from a true story about a Momma battling low milk supply, despite healthy lifestyle practices. You can read more on the founder’s personal story, struggle, and victory on overcoming lower milk supply HERE! I LOVE RAWR Naturals for many reasons, the first being that nights of research and personal experience turned homemade granola bar and smoothie recipes into a successful business, which now serves Mommas like you and me! RAWR Naturals emphasizes the importance of healthy living for Moms with their unique product line of lactation boosting snacks (protein powders and protein bars) to help optimize your milk supplies, energy, and fitness in order to get your body and mind back after baby! Although there are hundreds of recipes on the internet (and one on our site as well!) for lactation boosting cookies, there truly is NO replacement for having these lactation boosting snacks readily on hand in your (and my!) home. 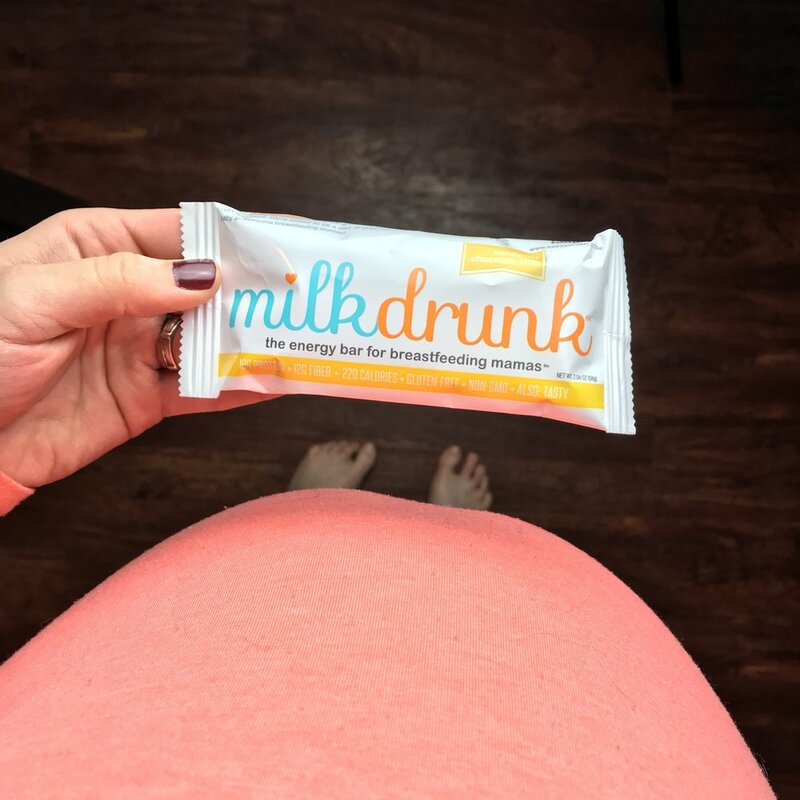 The milk drunk products are specifically created for the longevity and sustainability of your entire breastfeeding journey. Packed full of galactagogues (foods and/or herbs that helps mamas product more milk and better milk flow), they’re perfect for your daily routine (breakfast, lunch, snack, or dinner) and come in the form of protein powder or protein bars. I have our stash ready for when Baby Blossom arrives and cannot wait to nourish on all things #MILKDRUNK! Here’s a great breakdown for both the bars and protein powders, girls! Both will help to enhance your milk production while nourishing your mind, body, and soul! Um, hello… isn’t that our life motto here at Blossoming Mommy and Baby?! RAWR Naturals, we HEART you and your Milk Drunk creations! Each bar contains six powerful galactagogues including brewer’s yeast, flax, oats, nuts and more! Medical Note: This protein powder contains fenugreek and should not be consumed by preggo mamas! I have not consumed this protein powder due to being pregnant, but you better believe in 9 weeks when baby boy is here, my milk drunk smoothies are happening! Nursing moms have an RDA of 71g of protein per day – while non-lactating women only require 46g of protein per day – a lack of protein can really be detrimental to your milk supply! 20-serving bags are less than $2 per serving, or a “try-me” bag with a week’s worth of protein shake mix for under $20! You can also use the protein powder to create healthy energy balls, protein pancakes, mug cakes, and more! Check out and follow @RAWRNaturals on Instagram for some crazy good inspiration and recipe ideas! Use coupons code: BLOSSOM – it’s good for 10% off anything in the store! It is only valid on their site, rawrnaturals.com, not for Amazon orders. 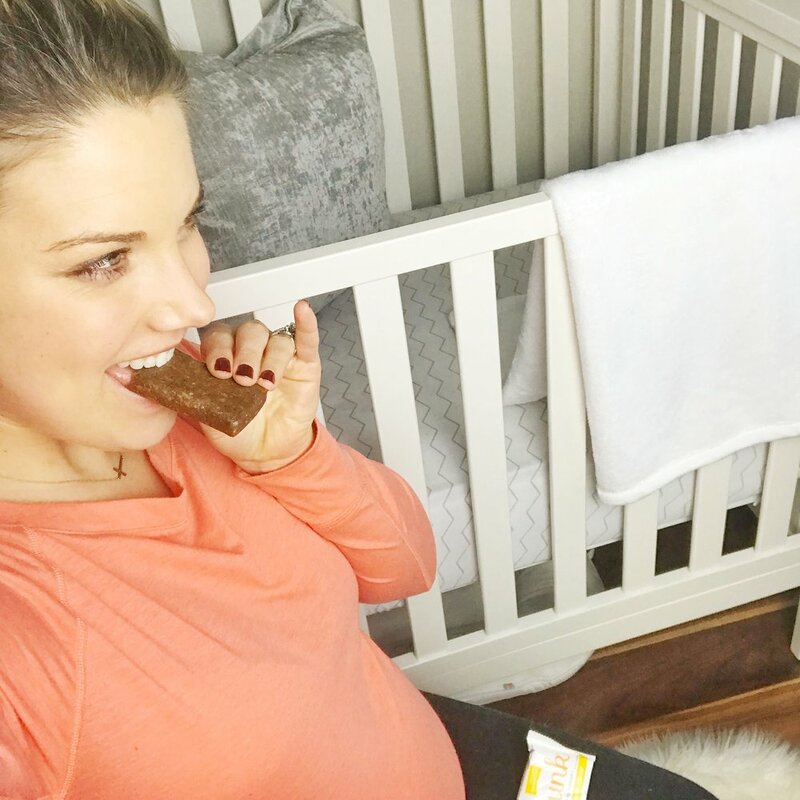 Ladies, I have been munching on the protein bars like crazy and cannot wait to add the protein powder to my routine once baby boy is here. Having a healthy supply of milk is so important and RAWR Naturals allows us to indulge in healthy, sustainable snacks to ensure this! Which healthy, nourishing treat will you be adding to your routine? I can’t wait to see! My next protein powder of choice is TOTALLY the salted caramel… CANNOT WAIT! EASY, PEASY, LEMON SQUEEZY! Love the simplicity of everything #milkdrunk has to offer! 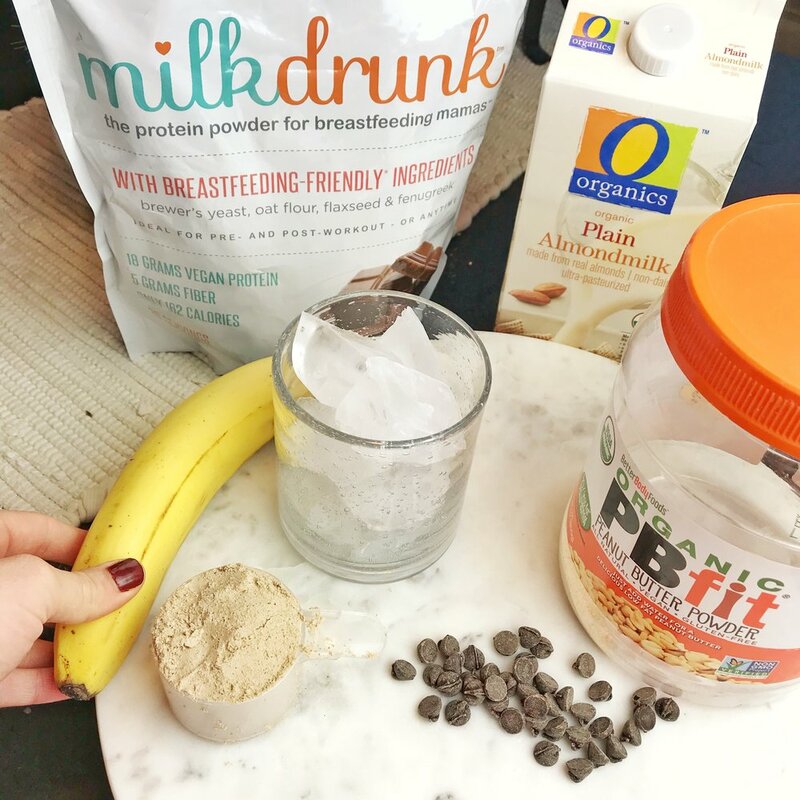 My absolute go-to as a new, breast feeding Mom and one that you should be adding to your routine, too! Living a health, fit lifestyle comes in MANY forms and is more important NOW than ever as a Momma. Take care of yourself, ladies. You deserve and the health of your family depends on it! Don’t forget to grab your coupon and discounts! Use coupons code: BLOSSOM – it’s good for 10% off anything in the store! It is only valid on their site, rawrnaturals.com, not for Amazon orders.